Sen. Joe Manchin (D-W. Va.) said that he doesn’t regret being the only Democrat who stood and clapped when President Donald Trump strongly condemned late-term abortion and infanticide during his State of the Union speech. 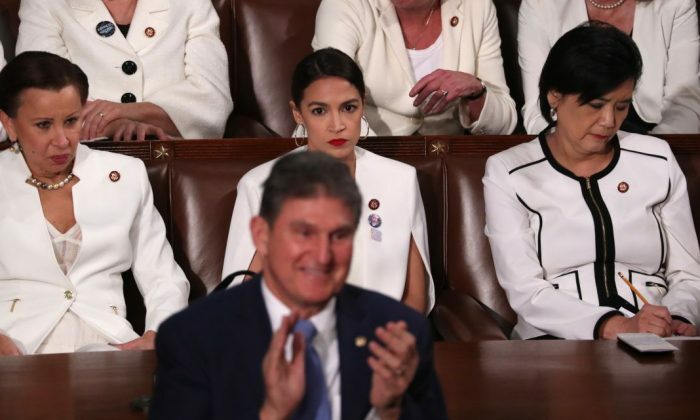 Pictures of Rep. Alexandria Ocasio-Cortez (D-N.Y.) glaring at Manchin from behind as the West Virginian stood, smiling and clapping, went viral, highlighting a growing divide between old-school liberals like Manchin and freshly elected Democrats like the young Ocasio-Cortez who have increasingly tried to move the party to the far-left. In the latest effort, Virginia Democrats tried to pass a bill that would have allowed abortions up until birth if just one doctor said going through with the birth would harm the prospective mother’s mental or physical health. Following up on the bill’s debate, Virginia Gov. Ralph Northam described a hypothetical situation in which a mother gave birth but the woman and the doctor may choose to end the baby’s life, comments which left many shocked and prompted someone to leak pictures from Northam’s medical college yearbook showing two men dressed in blackface and KKK gear, igniting a scandal in the state. During that portion of the speech, Manchin stood and applauded along with the entire Republican side of the aisle. 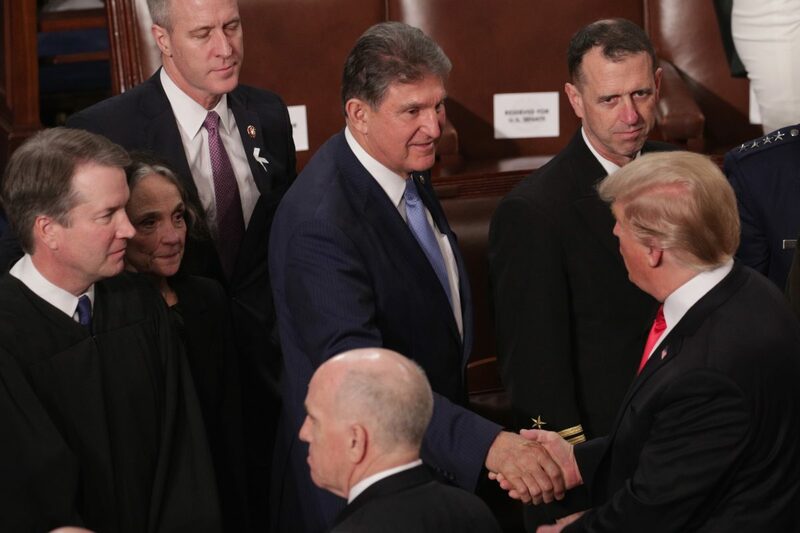 In the following days, Manchin faced criticism from within his party, noting that it was the most controversial topic that Trump touched on that he stood up and applauded and that he could “feel the daggers” from fellow Democrats when he did so. A Queens man accused of stabbing his pregnant girlfriend to death had an additional criminal charge dropped because of a new law that was recently signed by the governor of New York. Anthony Hobson, 48, was charged with second-degree murder for allegedly slaying his partner, 35-year-old real estate agent Jennifer Irigoyen. Hobson was initially charged with second-degree abortion since Irigoyen was pregnant, but the Queens District Attorney’s office told the New York Post that it had to drop the charge because of the new law. Part of the law, known as the Reproductive Health Act, removes abortion from the state’s criminal code and modifies the definition of homicide to no longer include the unborn. Cuomo and other Democrats celebrated the law after signing it in late January. Among other things, the law allows a mother to have an abortion if a doctor believes there is an absence of fetal vitality, the pregnancy is under 24 weeks, or endangers the woman’s health. Cuomo’s office declined a request for comment on the case by the Post.